Okay, we can't even sugarcoat the fact we’re total Instagram fiends over here. Whether we’re religiously checking our feeds or sprucing up our iPhone cases with old snaps — we’re full-fledged fans of the S.F.-based, billion-dollar company. 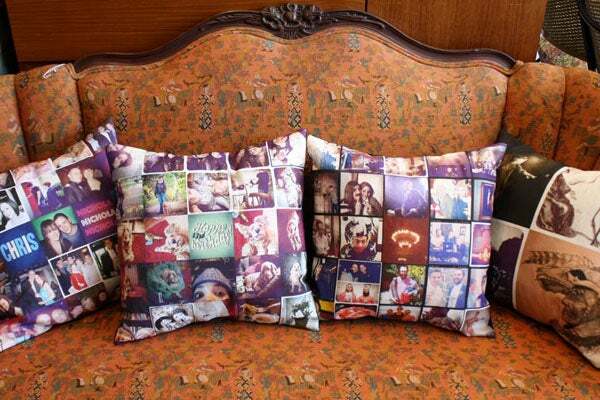 So, it will come as no surprise that we’re flipping out over new DC-based site Stitchtagram, which lets you turn all of those artsy memories into pillows. Yes, pillows! Meaning: you can rest your head on some of your most beloved captures. Does it get better than that? Since we are constantly scouring the scene for new home items, it's no wonder we just can't keep our eyes off of these vivid household accessories. And of course, we can't wait to see what the company comes up with next. Instagram lamps? Leggings? Undies? The sky's the limit...and our wallet might be in serious trouble.